Care Technology Innovative Solutions for Life. Health Care is an evolving ecosystem. Its future is happening today. With the dynamics of emerging technologies, demands of healthcare reform, expanding mandate compliance and a more engaged healthcare consumer, it’s no wonder the world’s leading Health Care organizations turn to Thryve Digital’s innovative and comprehensive enterprise systems solutions. 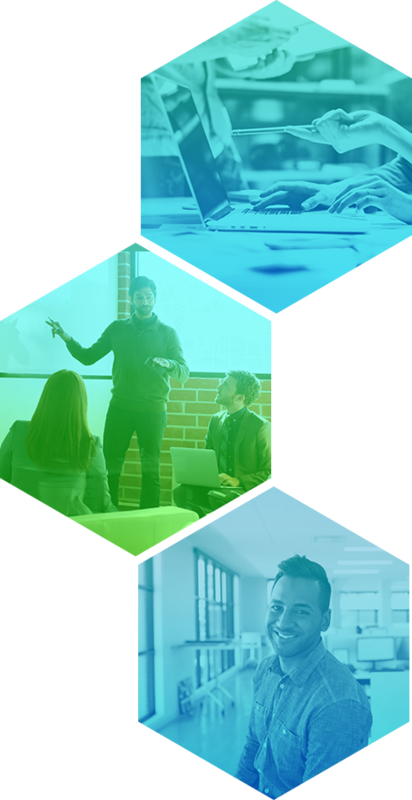 Our global collaborative of experts in healthcare, operations, and information technology create innovative, sustainable processes for company growth that keep the ever-evolving consumer engaged in managing the future of their health. We believe empowering our customers through technology and global collaboration will help create a new model of Health Care. Thryve Digital delivers next-generation solutions that enable Health Care Partners to run their business on our proven, comprehensive platforms allowing them to focus on what they do best – provide positive experiences for their Health Care consumers and delivering excellence in service and care. 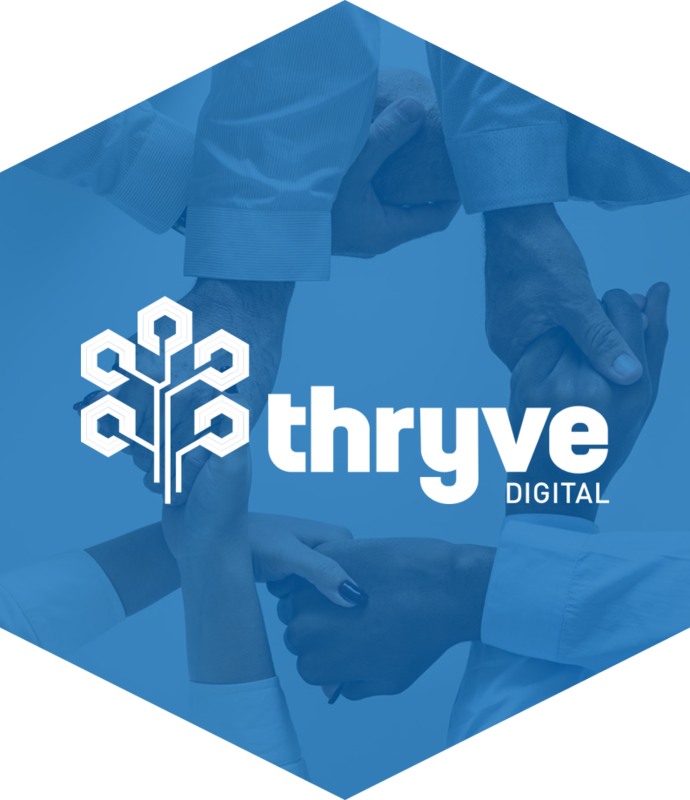 Thryve Digital, and its global teams of information technology and Health Care experts reinvent and optimize the application portfolio to drive business growth, prepare for the future and manage applications to help scale, flex and respond more quickly to business challenges and opportunities. Thryve Digital Business Process Services improve the performance and effectiveness of your business by delivering cross-function quality services taking business solutions and outcomes to the next level while uncovering opportunities for growth – whether your focus is on transforming, sustaining or building business performance. Thryve Digital Claims Processing includes all processes, activities and tasks that facilitate effective receipt, validation, adjudication and payment of health claims submitted by providers and members associated with its plans. Thryve Digital Benefits Administration Services support the effective management of medical benefits implementation and processing by providing real-time benefit design, coding, publication and support for our to clients’ new and changing Health Care product lines. Thryve Digital Enrollment and Billing Services utilizes its technological capabilities with experience in enrollment intake, pre-processing, maintenance and renewal with key services that include billing information management, invoicing, payment process and and quality management. Our Health Care Informatics team utilizes our operational data in the Enterprise Data Warehouse while employing Business Intelligence tools to analyze, share and report operational data for tracking and effective decision making. Technology is rapidly transforming the face of Health Care across the continents. It is the human element that determines the acceptance of transformative technology. This thinking lives in the heart of every IT and Health Care specialist at Thryve Digital. Raman Padmanabhan is the President and CEO of Thryve Digital. Mr. Padmanabhan has held several executive positions during his professional tenure in the USA and India including Senior Vice President and CIO of Xerox Commercial Healthcare business; leading the India Development Center division across Bangalore, Chennai and Kochi for Affiliated Computer Services (ACS), India; and as Chief Engineer (CTO) for Xerox Global Technology and Offering Development (GTOD) engineering. Mr. Padmanabhan earned his Master’s degree in Information Technology from Rochester Institute of Technology in Rochester, NY and a Bachelor’s degree in Electronics Engineering from Thadomal Shahani Engineering College in Mumbai, India. Bala Sankaranarayanan is the Head of Payer Business Solutions for Thryve Digital. He has held a series of executive positions during his professional tenure in India, Europe and US. Prior to joining Thryve Digital, Bala was a Senior Vice President in Atos SE where he led a Consulting & System Integration portfolio with annual revenues in excess of US$ 1B. A certified consultant on USFDA Regulatory Affairs, Bala is a Healthcare and Digitalization thought leader, and also has board-level affiliations with various industry bodies such as the Drug Information Association, Indian Society for Clinical Research, Society for Pharmacovigilance in India among others. Arvind Srinivasan is the Head of Finance and Business Management Office for Thryve Digital. He has held various senior positions across Finance and Commercial functions in India, Malaysia, Australia and USA. Prior to joining Thryve Digital, Arvind was the Chief Financial Officer at Standard Chartered Scope Malaysia spanning more than 5000 employees. As CFO for the country, he was responsible to deliver USD 200 million cost budget and managing cost governance and control. He comes with commendable expertise in Strategic Planning, Project Management & Delivery, Business Planning & Analysis for value creation, Financial Management & Control, Risk Management & Control, Contract management. He strongly believes in aligning to business purpose and constantly raises the bar of his function. Saravanakumaran Palanivel is the Head of Privacy, Security and Compliance for Thryve Digital. Saravanan is a multifaceted professional with experience in Governance, Risk, Compliance, Program & Quality Management domains across industry sectors such as IT/ITES, Product Development, R&D, Telecom, Retail, Refinery, Petrochemical and Engineering-Procurement-Construction-Operations (EPCO) domains. He comes with experience in establishing risk, compliance & quality management capabilities at several greenfield Global Business Services (GBS) and IT Services Organizations. Prior to joining Thryve, he was with Cognizant Technology Solutions; heading Operational Risk and Compliance for Banking and Financial Services (BFS). Saravanan has Bachelor’s degree in Mechanical Engineering from University of Madras, Chennai, India and holds several certifications in Information Security, Business Continuity, Risk, Quality and Project Management areas. Sumit Kumar is the Head of Provider Network Solutions for Thryve Digital. Sumit has more than 17 years of experience in managing several complex, large-scale transformational IT programs (application outsourcing, strategy, testing, transformation, systems integration, and package implementation) for Healthcare Provider clients across North America, Europe and Asia Pacific regions. Prior to joining Thryve Digital, he was a leader in Accenture’s Health & Public Services and was accountable for setting up offshore delivery unit for some of the largest Provider accounts and Provider capability at India Delivery Centers. Anita Vyas is the General Manager Operations for Thryve Digital. She has played varies roles in her tenure across Europe and Asia Pacific.Prior to joining Thryve Digital, Anita was a Manager –Process Excellence in the PMO Practice in Wipro Consulting. She was responsible to manage the PMO Managed Service Practice and also manage deliveries in that space. She comes with extensive experience in establishing and running large scale PMO functions and Project Management Tool implementation.Anita graduated from the Osmania University, Hyderabad and holds several certifications in Project and Program Management. Thryve Digital has partnered with HCL Technologies, a global information technology talent powerhouse in an exclusive recruitment agreement. Our expertise in comprehensive Health Care enterprise systems combined with HCL Technologies' best in IT and business process talent extends our reach to meet the growing Health Care needs of our clients and their consumer communities. Together, we create innovative Health Care system solutions that transform lives. Thryve Digital is one of the first Global In-house centers focused entirely on creating higher quality Health Care. At our very core is a team of passionate innovators who work together to deliver on that promise with the highest degree of integrity, strong principles and commitment to ethical standards. Thryve Digital is now hiring and looking for management, development and support positions in our state-of-the-art technology center in beautiful Cambridge Tower in Ramanujan IT City in Chennai. If you value innovation, opportunities for growth and global collaboration, apply for an open position today. 1st Floor, Tower No 1, Laxmi Infobahn SEZ. ORR Service Road, Kokapet Village.